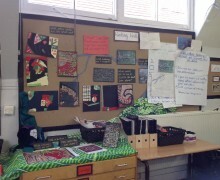 At Woodhill we plan our art to link with the wider curriculum usually with a focus on the core text. This immerses the children in their learning and enables them to make links across topics and gives their work a purpose. Our planning follows the teaching backwards idea meaning we start with an idea of what the outcome will be and then break down the journey to getting to that outcome over the half term. The children’s skills are embedded and developed over time. 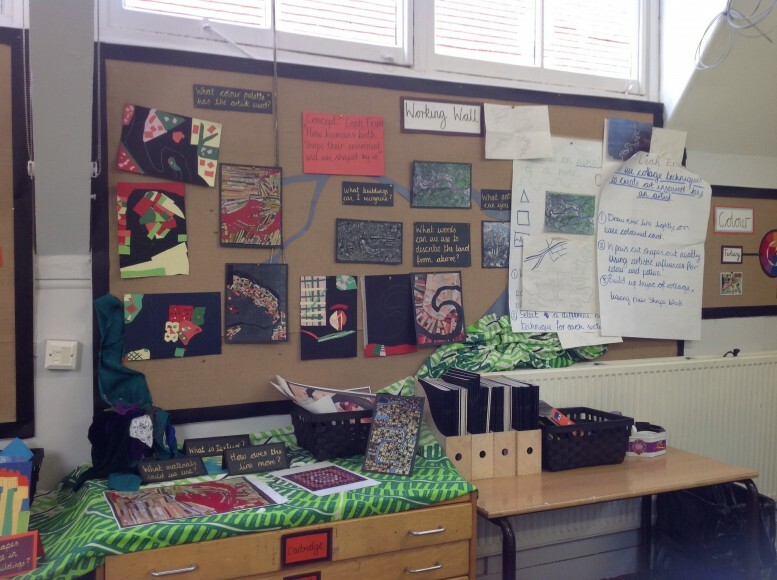 We have an art specialist who trains staff in their subject knowledge through modelling lessons, art skills and planning PDM, and inset training. Our art specialist supports with planning to make sure the art ideas and artist links are fresh and exiting and that teachers have confidence in teaching and learning and the lesson breakdown. 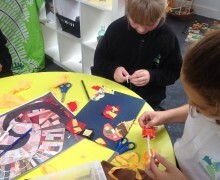 We have covered a variety of artists and skills over the Autumn term. Nursery have been building a huge basket of fruit, building skills in paper mache, moulding and shaping and colour mixing. Reception have been creating jungle collages in mixed media looking at layer and building a forest using different materials. 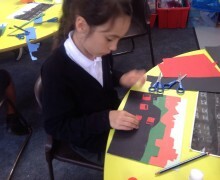 Year 1 Have focused on ‘The Lonely Beast’ and during Autumn 1 created isolated landscapes in textiles. In Autumn 2 they have focused on Robots and have designed robots as well as building them in DT. 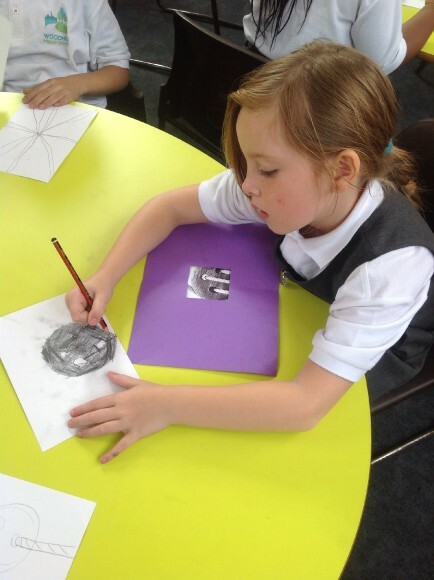 Year 2 have been studying Space and have created space collages exploring printmaking, painting and drawing. Year 3 and 4 have been focusing on the arctic and have both focused on mixing a cold colour palette but have applied the skills in different way. Year 3 have created Polar Bear portraits in acrylics and year 4 have created Artic landscapes in watercolours and collage. 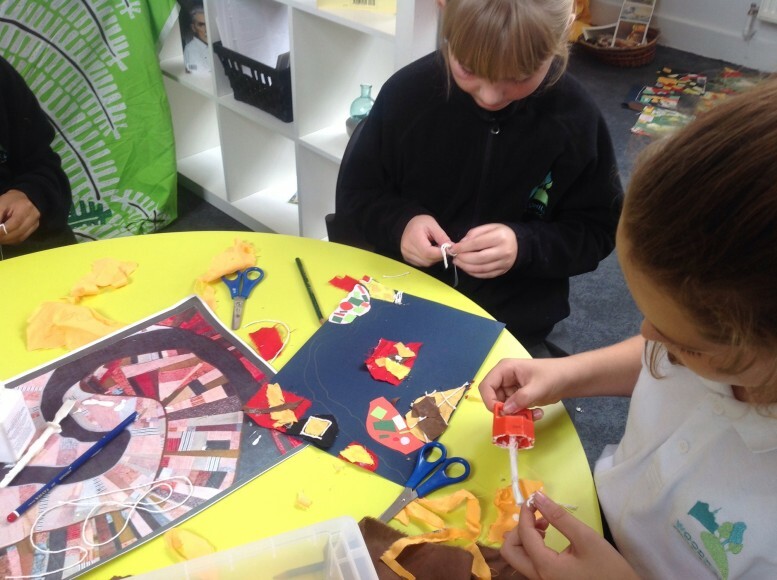 Year 5 spent Autumn 1 developing masks for their Romeo and Juliet performance and throughout Autumn 2 have been studying the core text ‘Hacker’. In art they have been creating number sequences building skills in mono-printing, drawing and colour mixing using Jasper Johns as inspiration. During Autumn 1 Year 6 created hot desert landscapes in collage focusing on perspective and influenced by artist Ed Mell. 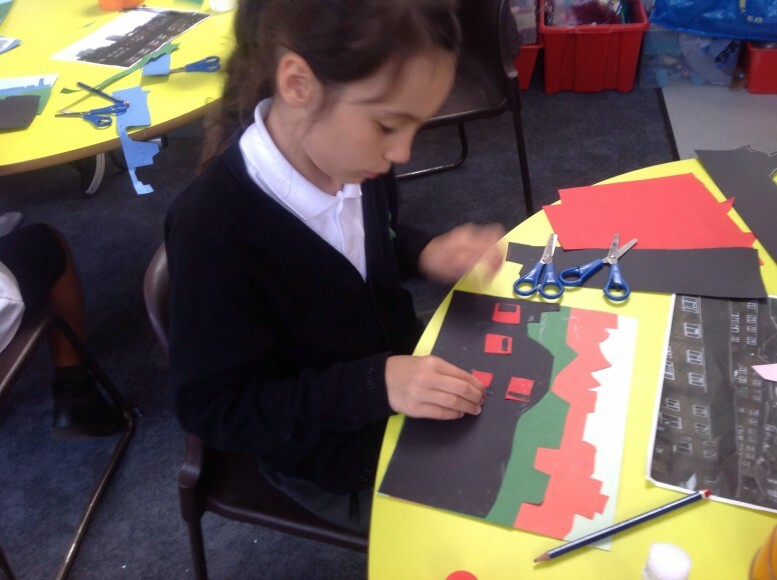 In Autumn 2 they have been studying Lowry and applying Lowry’s use of colour and style to a London cityscape, to link with their focus on ‘The London Eye Mystery’. 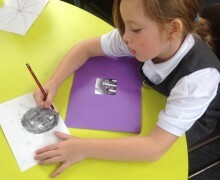 We record evidence of the learning journey in our sketchbooks and progression can be seen through the observational drawing skills, experimental work and practice recorded in books and improving over time. Our sketchbooks last the whole year so you can see clearly each topic studied, artist and development for each half term. 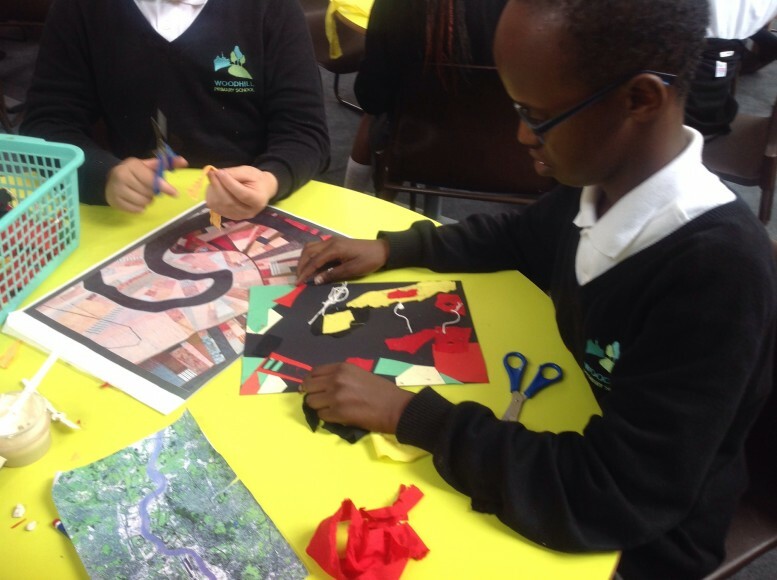 Children at Woodhill enjoy art and feel they are surrounded by artistic opportunities. 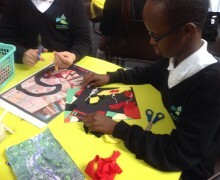 Art is celebrated at Woodhill through the annual art fair where children work is exhibited and sold to members of the public and local community and you can see from the learning environment they are proud of their work and have over time mastered a wide range of art skills.